To me the rise of layering initially was a bit of a surprise. After all, wasn’t there already application virtualization in products like App-V and ThinApp? The key thing to understand is that layering has a different goal than tradition application virtualization. 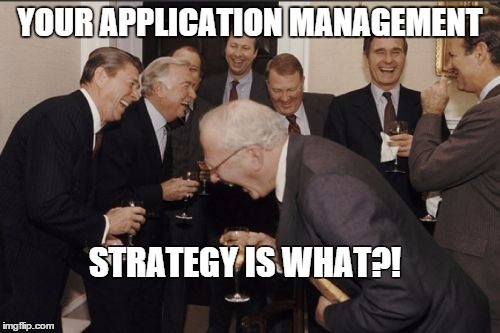 Where application virtualization (App-V for example) had the goal to isolate applications from the OS (and other applications), layering is much more about improvements in application management. Layering is becoming more and more popular because it makes it a lot easier to manage many applications across different platforms. This is important because in the IT departments of today more will need to be done with less. And layering is not limited to applications–a lot of vendors also offer the same management benefits for other layers of the workspace, like personalization or the OS. The ‘EUC Big 3’ (Microsoft, Citrix and VMware) have had layering in some shape or form for a while now. Citrix got layering technology from their Ringcube acquisition in 2011, but in my mind never really positioned it as layering until they introduced AppDisk. When VMware acquired Wanova in 2012 they also got layering technology. For some reason, the Wanova acquisition hasn’t yet come to fruition in VMware. I am sure there are many factors to this, but Wanova was originally positioned and designed as a backup and recovery solution for physical PCs using something that resembled layering rather than a desktop virtualization solution, which is what most of EUC at VMware is about. I still think the Wanova technology has great potential and should be a great asset for VMware. Maybe for those reasons, VMware acquired another layering solution late in the Summer of 2014, CloudVolumes, which they renamed to AppVolumes. AppVolumes is much more focused on putting layering capabilities to work by adding value to the desktop virtualization piece of End User Computing. They also acquired Immidio to add a personalization element. Finally, Microsoft also has a layering technology. They might not position it that way but that do have it I’m not talking about Server App-V (or even traditional App-V), but rather about the User Profile Disk in Windows Server 2012 R2 which effectively mounts a VHD containing the user profile at session logon. Layering is not new at all- as far back as 2002 a company was doing this. Actually it is quite an interesting story. A company called FSlogic (not a typo) was doing layering back then. This company was acquired by Altiris, and Altiris was later acquired by Symantec (which we all know is where great products go to die). I’m kidding–it is now part of the Symantec Endpoint Virtualization Suite. I can hear you think, “FSLogic? Isn’t there a company called FSlogix?,” and you’d be right. In fact, many of the same people from FSLogic are part of FSlogix, as well as Kevin Goodman (who you might know as the founder of RTO Software, which is now part of VMware). FSLogix has been in business since 2013 is all about application layering with a very lightweight approach. For me, two others are worth mentioning separately because they take a slightly different approach. According to Gartner they form a separate category called “Cloud Application Virtualization”. I would propose to change that to Cloud Application Layering. The two I mean are Cloudhouse and Numecent because they add an add in the ability to distribute their application layers via the cloud. This makes it very easy to have access to the applications in these layers anywhere, which, for example, would be useful in BYOD scenarios. Anyway, no matter how you slide it or dice it, the sheer fact that this many vendors are able to make a living on layering proves there’s a problem in the market that needs to be solved, so I think that in the short term layering is going to have a big impact on the way End User Computing is done.